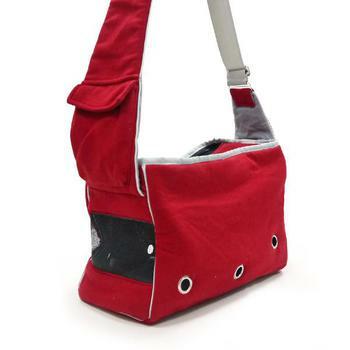 Soft and comfortable dog carry bag designed with a hard base. Adjustable strap, mesh window, and metal vent holes. The Dogo messenger dog carrier cover can be fully zipped or half way opened and includes a cell phone pocket on the strap, big pocket in the rear, and inner pockets.